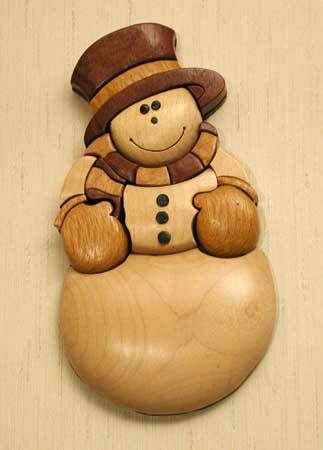 Snowman made from Purpleheart, Lacewood and Maple. 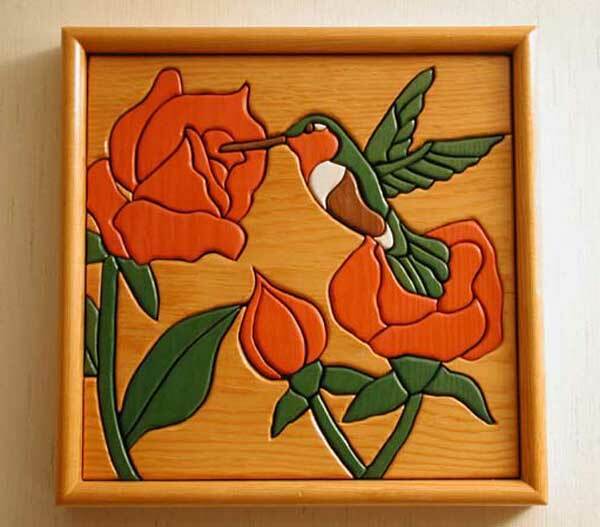 Hummingbird made from 1/2 inch Pine, and pieces are painted. 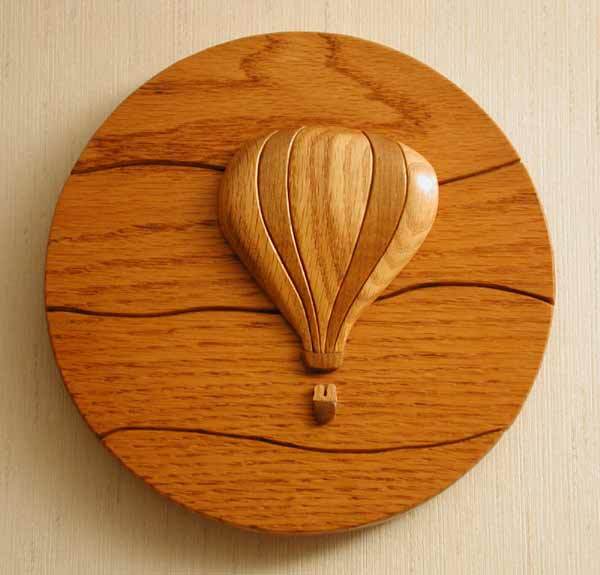 Balloon made from Oak and Walnut, the background is Oak with a cherry stain. 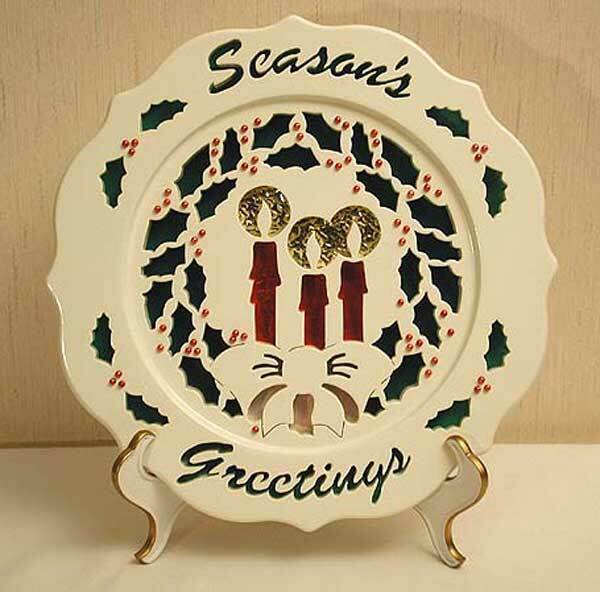 Decorative plate made from Pine and painted white.